The loss of a child is often considered to be the most painful, wrenching experience a person can have. The loss of an infant may be sudden and shocking or follow many months of neonatal intensive care unit (NICU) visits. Losing a baby means the loss of dreams for the baby’s future. Parents may feel they were robbed of time to get to know their child. Friends and family may never have met the child. Because infant loss follows a short life, some people find loved ones treat the loss as if it were a miscarriage—not the loss of a living, breathing child. This can compound the pain and increase stigma. Though infant loss is often painful and traumatic, it’s possible to find healthy ways to cope. The right therapist can help parents find ways to mourn and honor their child. Therapy is not about forgetting the child or the loss; instead, the goal is to work through the pain of infant loss, move forward, and find ways to seek support from loved ones. Though life may never be the same, a good life is still possible. October is National Pregnancy and Infant Loss Awareness Month, during which organizations across the globe work to support parents who have lost a child. Getting loved ones to understand the magnitude of the loss. Because the child was around for only a short period, some parents find loved ones treat the loss as if it were a miscarriage, not the death of a child. Recovering from trauma surrounding the loss. Many infants die following traumatic births or long NICU stays. Some die of sudden infant death syndrome (SIDS). In addition to grief, many parents feel exhausted by the trauma they faced leading up to or immediately following the baby’s death. Stigma. The loss of a baby can be frightening to others, who may look for reasons it won’t happen to them. For example, a pregnant family member might blame the death of a newborn on a mother’s habits while pregnant. This stigma can lead to feelings of anger, isolation, and guilt. Self-loathing. SIDS and accidental injuries, such as falls, are leading causes of infant death. Parents whose children die of these causes may feel guilty or endlessly second-guess themselves, which can trigger immense self-loathing. Family trauma. The loss of a baby affects an entire family. Siblings may not know how to process the loss, and parents may feel too overwhelmed by the loss to help their other children cope. Relationship difficulties. Parents who have lost a child may struggle to support each other, and sometimes, desperate to understand the loss, they blame one another. Divorce rates are higher among parents who have lost a child. Physical challenges. The death of a baby often follows a difficult pregnancy or labor. The mother may suffer injuries along with the baby. Coping with this loss while recovering from these injuries and managing postpartum changes can be challenging. The loss of a baby can be frightening to others, who may look for reasons it won’t happen to them. The loss of a baby is tragic enough, yet many families also face stigma and other myths surrounding their loss. Some people mistakenly believe one baby can replace another, so they reassure the parents that they are lucky to already have children or that they’ll one day be able to have another baby. This can undermine the meaning of the baby’s life as a unique individual and may make bereavement worse. Secrecy and stigma. When an older child dies, family members and friends have gotten to meet the child and spend time with them. When an infant dies, many people never get to know the child. Loved ones might not know how to talk about the loss and so may ignore it. This can cause parents to feel stigmatized or that they must process their grief in secret without support. Confusion about infant loss. Miscarriage, while tragic in its own right, is not the same as the loss of a baby. No matter how young the baby was when they died, losing a baby is losing a child, not a pregnancy. Barriers to bonding with the baby. Pregnancy complications and genetic defects are leading causes of infant loss. Many babies who die spend much of their lives in the NICU. In some cases, a parent might never get to take their child home from the hospital. Some parents never even get to hold their baby. This can complicate grief by making a parent feel that they didn’t get to bond with or comfort the baby. There’s no cure for the loss of a baby, and nothing can make the pain disappear. Grief in response to this type of loss is normal and understandable, so loved ones should not try to rush the grieving process or encourage parents to “move on.” While it is possible to recover, parents will never forget their baby. Encouraging them to do otherwise is harmful. Encourage your loved one to talk about the baby. Acknowledge the loss rather than hiding from it. Talk about the baby using their name. Talk about the baby at milestones, such as the baby’s birthday and holidays. Find a way to celebrate the baby’s life with their parents. For instance, help them plan a memorial service or donate to a child welfare charity in the name of the baby. Talk about how the baby affected your life if you met the baby. Even newborns have personalities. The baby’s smile, gentle demeanor, or desire to cuddle are all things to highlight. Never tell the parents another baby will replace the loss. Don’t compare the death of a baby to a miscarriage. Offer material support in the months following the loss. Bring meals, offer childcare for other children, or help clean the house. Don’t expect anything in return. Encourage other loved ones to talk about and honor the baby. If some family members are not particularly sensitive to the loss, act as a buffer. Be sensitive to the physical challenges of recovering from childbirth, especially if the pregnancy was difficult. Help the mother take care of her body by driving her to doctor’s appointments or going to yoga together. Consider helping your loved one find a support group. Being with others who have faced a similar loss can be comforting. Offer material support in the months following the loss. Bring meals, offer childcare for other children, or help clean the house. Therapy can help parents find productive ways to deal with their loss. 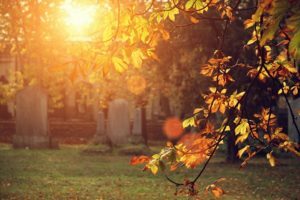 Some therapists specialize in bereavement therapy that helps parents understand their emotions, work through the loss of their child, and even find meaning in the loss. For some people, the loss of a baby inspires them to support other parents, fight childhood illnesses, or otherwise give back to their community. Therapy can help parents decide what might help them move forward. Therapy can also help family members and couples support each other. Everyone deals with loss differently. One spouse might want time alone, while the other might need a distraction or lots of hugs. Family and couples counseling can help with identifying these needs and support families to meet one another’s needs. Therapists gently guide bereaved families through their grief, and a good therapist never tells families to get over the loss. Instead, therapists honor the life of the lost baby while helping grieving parents continue to lead lives of meaning and purpose. Recovery is difficult, but possible. For help navigating the pain of losing a baby, begin your search for a therapist here.